When you walk into Toy Story Midway Mania!® Attraction, it feels like you’re stepping inside a giant toy box. As you move through the queue, you’ll come face to face with a giant Mr. Potato Head as he welcomes you to the attraction. His jokes and sing-alongs are very cute. The “carnival trams” seat four people; two on each side, back to back. The trams move, spin, then stop in front of different midway games where you will use the spring-action shooter in front of you to score points. 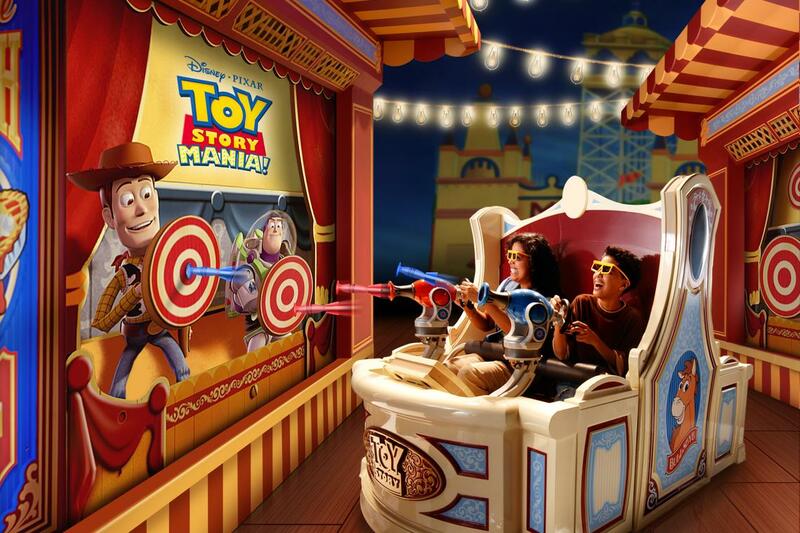 Toy Story Midway Mania!® Attraction will have you aiming darts to burst balloons, throwing rings to capture little green aliens, tossing eggs to splatter across barnyard targets and throwing baseballs to break plates. The more accurate you are, the more points you score! 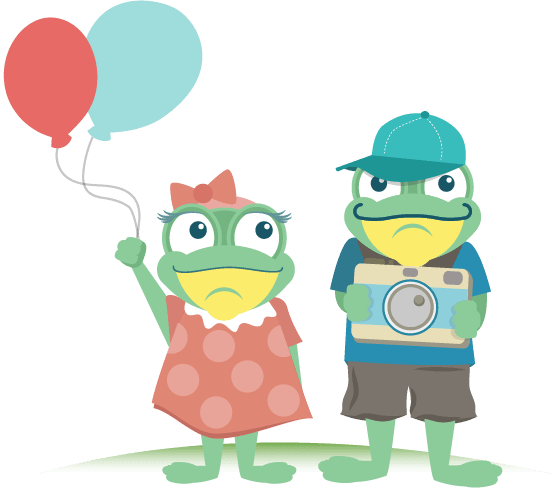 This is a Frog Family favorite. A little fun, friendly competition amongst family never hurt anyone! 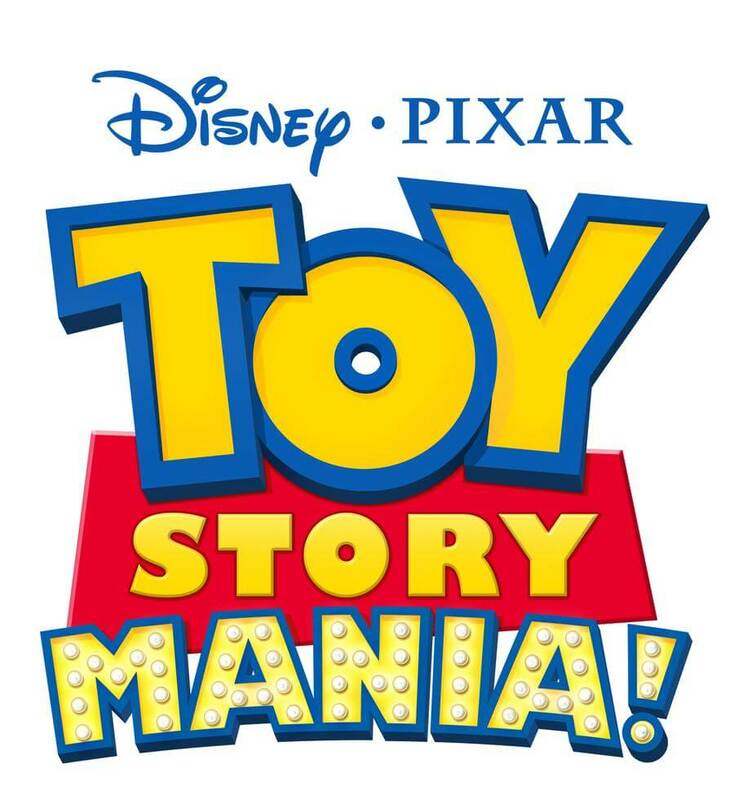 Toy Story Midway Mania!® Attraction is located in Pixar Place at Disney's Hollywood Studios®. The duration of the ride is around 8 minutes. Guests can wear the provided 3-D glasses which will make the entire experience much clearer. Each ride vehicle seats four guests; two on each side (back to back). There are no lap restraints, but the front of the ride vehicle closes and holds the spring-action shooter you’ll use during the attraction. 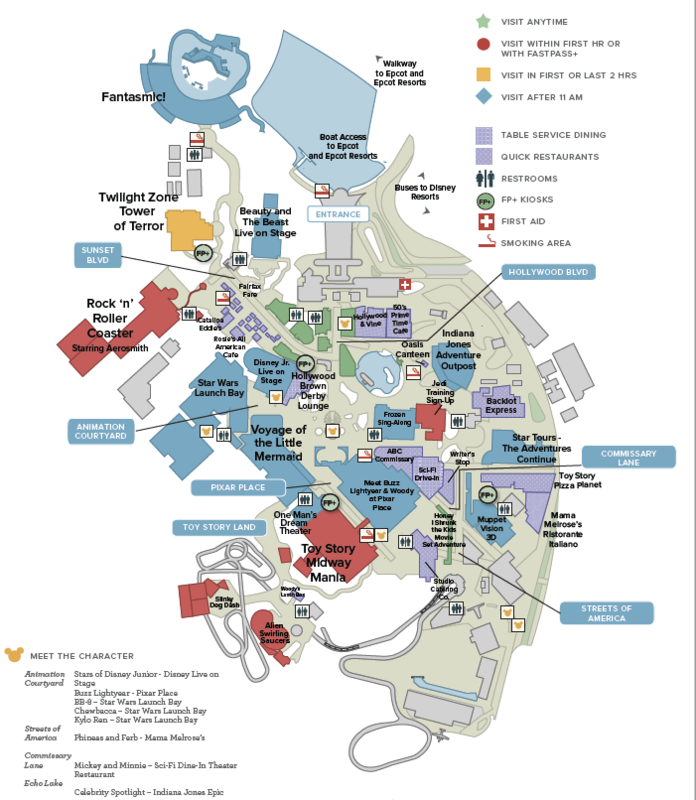 Guests must transfer from their motorized scooter or ECV to an available wheelchair to experience the attraction. Audio Description devices provide supplemental audio for guests with visual disabilities and are available at Guest Relations. Video Captioning is available here. Due to the nature of this attraction, guests with service animals should check with a Cast member for boarding information. Experience this attraction immediately after park opening or during Fantasmic! when a large majority of guests will be at the show. 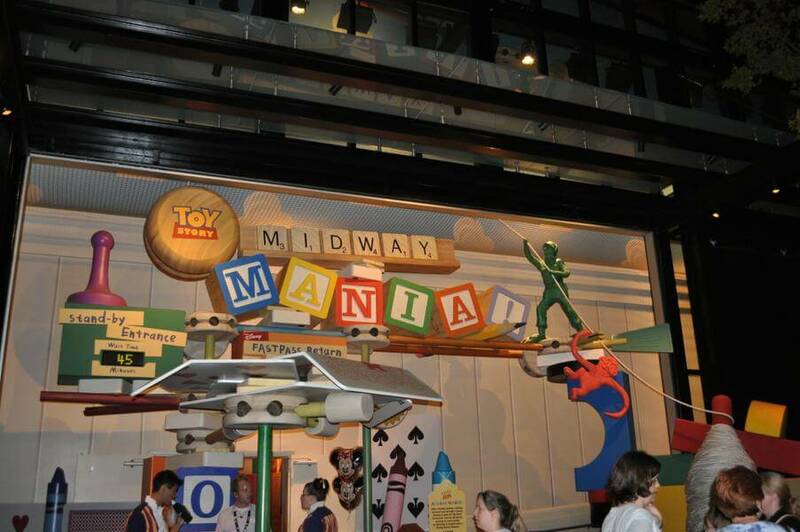 Toy Story Midway Mania!® Attraction is a VERY popular attraction with a consistently long line. Use a FastPass+ to ride Toy Story Midway Mania!® Attraction during the afternoon if you can. Be ready - you receive around 30 seconds in each game to score some serious points! Try to hit the bonus target to earn extra high points! Each game has a target that will trigger a bonus target to appear. The Audio-Animatronics Mr. Potato Head in the Toy Story Midway Mania!® Attraction is nearly 5-feet tall - much larger than life - and he can take off one of his own ears! The Imagineers spent more time programming Mr. Potato Head than any other Audio-Animatronic ever. He's also the first Audio-Animatronic that can form words and vowel sounds with his mouth. When designing Toy Story Midway Mania!® Attraction, the Imagineers had to wear 3D glasses when creating the black-light elements. Much of the targets feature interactive effects, like a 3D balloon splashing water at you when it pops! The attraction went through some changes in 2010, including Rex and Trixie's Dino Darts replacing Bo-Peep's Baaa-loon Pop.